The former “Congregation Tiferes Jacob – Congregation Talmud Torah.” 59th and Brentwood, just east of Broadway. Every time I go through the middle corridor of South Central LA, I crane my neck as I approach the area around Slauson and Broadway. Since the first day I noticed it I have been filled with curiosity. As even from the Harbor Freeway one can clearly see it if you pay attention, a Star of David on a blue copula and a Christian cross on the other. And I have also been following-up on this further with some research at the library. Which has also provided some fascinating leads regarding the history of this congregation and the surrounding neighborhoods. While at the Los Angeles Central Library going through old city directories – the forerunners to phone books – I got curious, and found myself thumbing through the pages looking for a listing of the old synagogues of the area. And in the 1930 through the 1942 directories, listed by name under “Congregation” I found a large listing of the old shuls of Los Angeles. The revelations left me stunned. What was so significant about the revelation, was not just how many synagogues there were in the city of Los Angeles at the time. 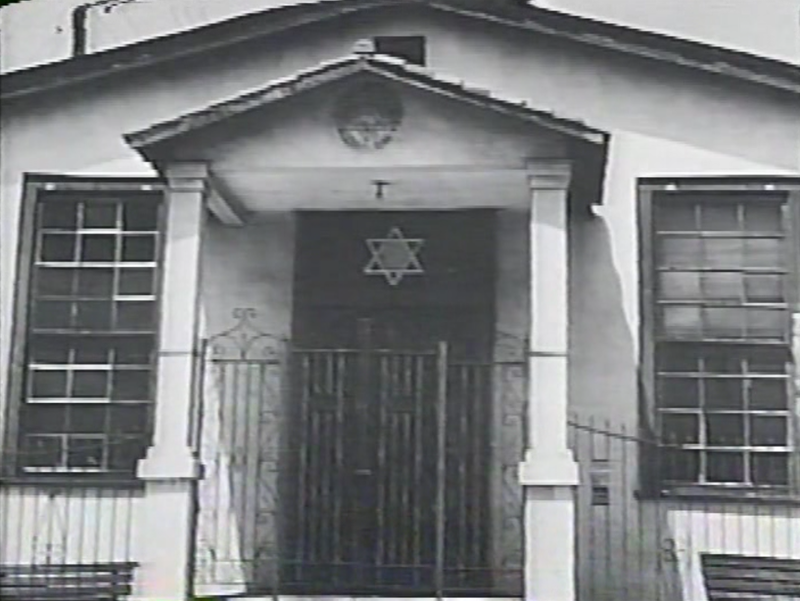 The most remarkable thing was where many of these Jewish houses of worship and study were located in South Central Los Angeles. Now I have to tell you, this revelation was more than exciting. But it was also a bit curious. A curiosity which has been shared by just about every historian and religious leader I have shown this list to. Because these listings show that there was a larger Jewish presence in these older working-class communities than we are aware of today. This is an interesting discover, and certainly a fact I find fascinating. 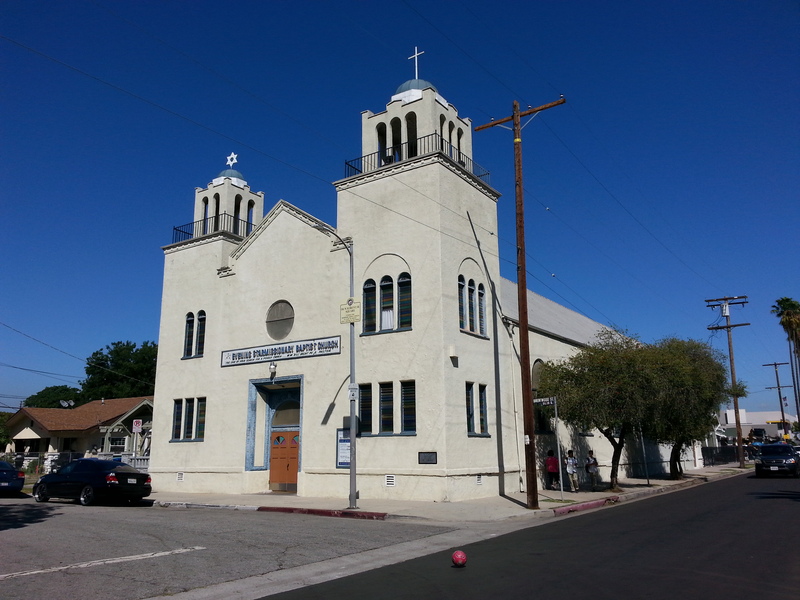 Being from the Los Angeles Eastside, the Congregation Talmud Torah which always comes to mind in my circle and among the historians is the Breed Street Shul – which was founded downtown, before moving to Boyle Heights. However, here we find two others Los Angeles synagogues which also used this designation as part of their name in the 1930s. While this might confuse some people, we need to understand that in reality none of these congregations were really called “Congregation Talmud Torah” by people in their day. The Hebrew term “Talmud Torah” means that such a congregation is a place of Torah learning, and is the normative term used for shuls which facilitated Jewish education. It was also just a frequently reoccurring, yet generic title used by Los Angeles Jewish congregations in old Los Angeles. Whether they had a formal building, or where just meeting loosely. This naming was frequently employed. In doing research going back to the 1880s, I have discovered that several talmud torah congregations have existed since then. What is known with some certainty is that none of these congregations listed here would have been popularly known as “Congregation Talmud Torah.” Just as in the case of the more familiar Breed Street Shul of Boyle Heights, it has instead always been known by it’s more popular name. Listed side-by-side by alphabetical order are two congregations listed here. The first being the “Congregation Talmud Torah” at 5972 Brentwood Street. The following being “Congregation Tiferes Jacob,” with the address listed as 211 W. 59th Street. Yet, these two addresses lead us to the same location! From what I’m gathering, sometime in the 1930s two Jewish congregations met at this site. One with their mailing address as Brentwood, and the other with their 59th Street address; two different doors and thus twice listed in the old city directory, even though it’s simply one location. The two congregations, probably reflective of distinct minyans and factions of one community. With eventually both congregations seeming to have completely merged sometime in the 1940s, to form one larger shul. From then on the congregation was simply known as “Congregation Tiferes Jacob” – as their name was accented, by the Eastern Europeans immigrants who would have been its members. So what does the historical record say about the origins of this congregation? Though the published facts on this are few, we do have a couple interesting historical accounts regarding the founding of this congregation which are worth exploring. This would have made this synagogue one of the most significant Jewish religious sites of the area at the time. Which would have been a very active site up until the 1950s, when it was sold to an African-American church. 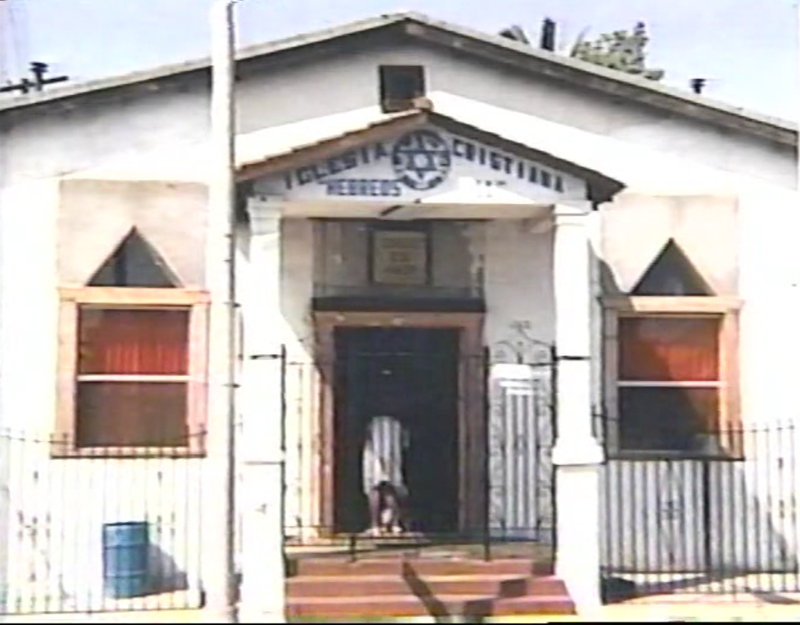 The building was purchased by the Evening Star Missionary Baptist Church in 1952. It was then refurbished and redecorated in 1964. 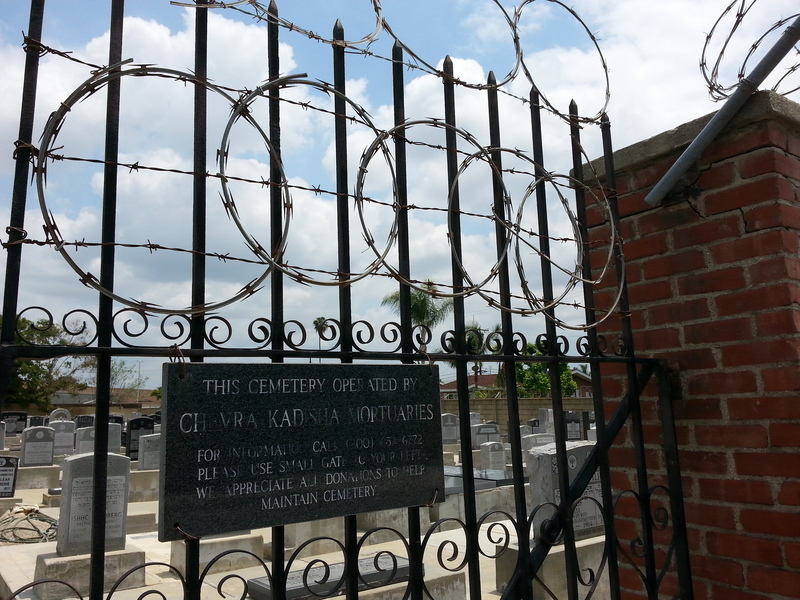 Now for over two generations this site has operated as a celebrated and historically honored African-American church. I’m not sure if these old congregations are one and the same. Either the historical record is a bit confused regarding the details of their founding and the geography of the old community, or this is a different congregation all together. But I do wonder. Could it be possible that this old shul still has a living legacy, which today embodied in a still active Los Angeles area synagogue? While researching the history of the Los Angeles Jewish community, I stumbled across a most interesting surprise. Uncovering some listings which give us an intriguing look into the lives of Los Angeles area Jews during the High Holy Days in the late 19th century, which also presents us with some historical twists. Which seems to reveal a bit about the lifestyles and trades of a mostly working-class Jewish congregation of the time. 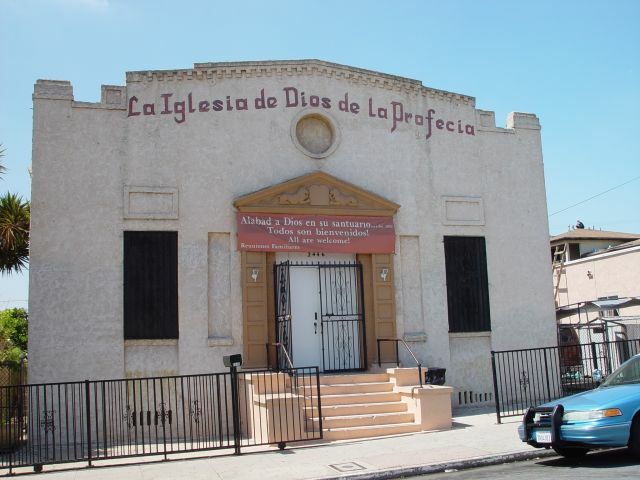 It has been suggested to me through oral history that this congregation might have existed for some time downtown, before migrating to South Central Los Angeles. This is an interesting revelation, and certainly something which I find fascinating. 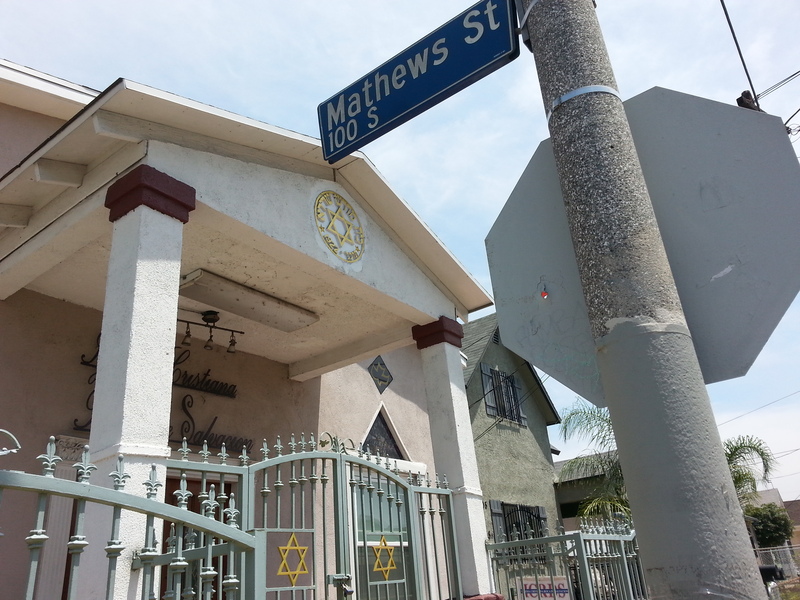 Being from East Los Angeles, the Congregation Talmud Torah which always comes to mind in my circle and among my historian friends is the Breed Street Shul – which was founded downtown in 1904, before moving to Boyle Heights a decade later. This is their High Holiday advertisement from the year before. Urging reservations, “…as no one will be admitted without tickets.” Los Angeles Harold, August 24, 1888. However, the congregation listed in this add is previously unknown to me. And so far it appears to be unaccounted for in the historical record. 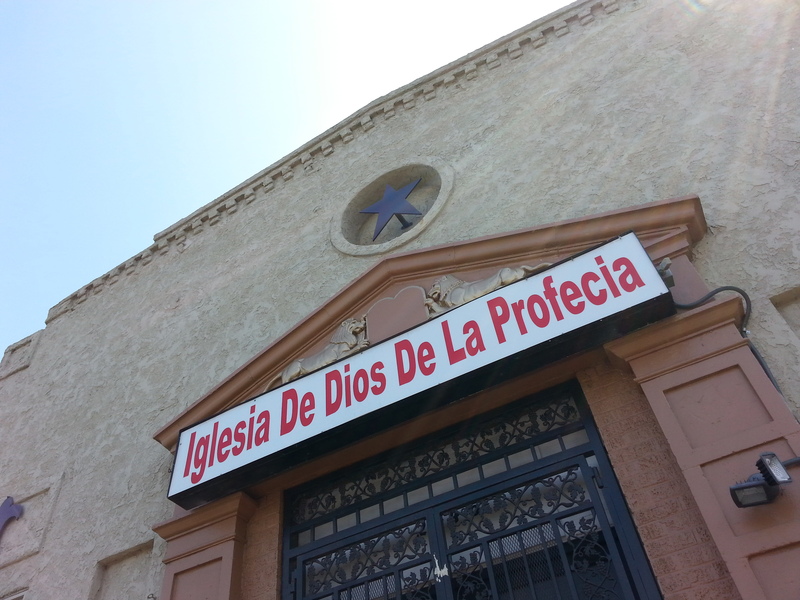 Though this older congregation seems to have started sometime in the 1880s. We really don’t know much about this congregation. We don’t know if they were a congregation which only met for High Holy Days. Nor do we know much about their custom or affiliation. We don’t even exactly know how well established they were. For instance, did they not have a building of their own? However, we can make some pretty good educated guesses based on the information provided. In these advertisements we see that the services are being held at Masonic Hall on South Spring Street. Now we need to keep in mind that this is not the original pueblo Masonic Hall on North Main Street (called “old” Masonic Hall in those days), which is still existent. This would have been a much grander and larger hall, built after Masonic Lodge No. 42 outgrew the old hall. 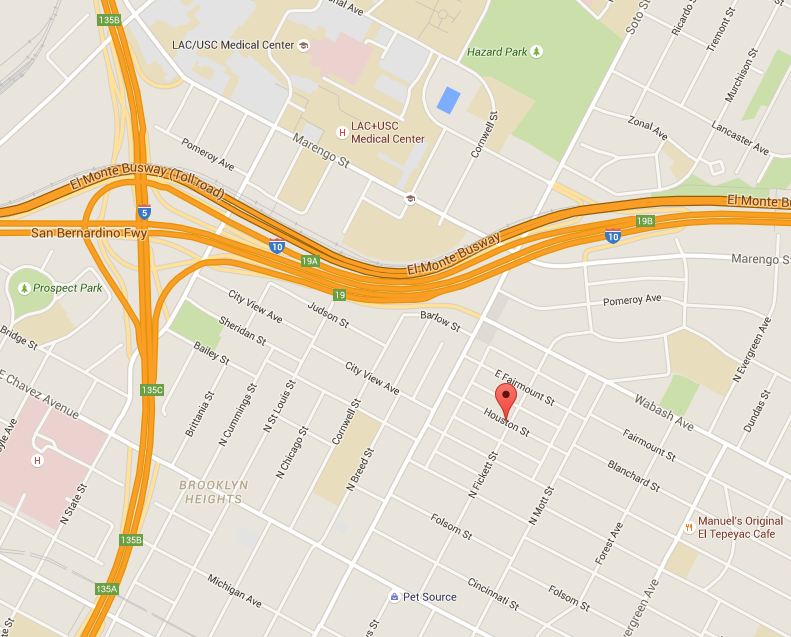 The location of the newer Masonic Hall was on the west side of South Spring Street, near the corner of 1st Street. 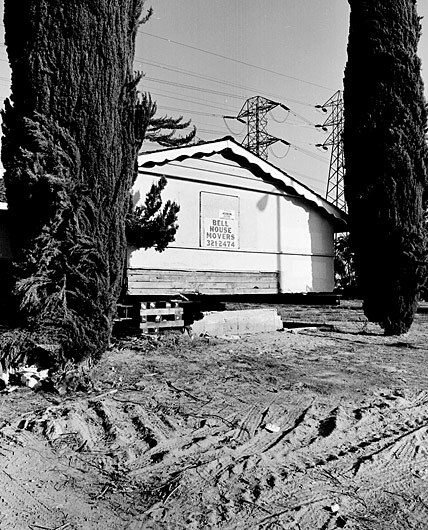 Just over near Los Angeles City Hall – for which it was eventually demolished to help make way for. During the late 1800s it was very common for both civic organizations and social groups to rent meeting space in the spacious Masonic Halls. This was quite the respectable place to hold special events. 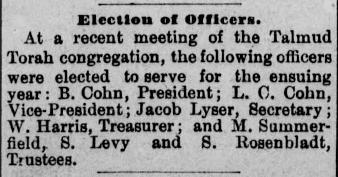 It should be noted that the first Jewish congregation in Los Angeles started meeting in the Masonic Hall on holidays. Congregation B’nai Brith – the forerunner of todays Wilshire Blvd Temple – renting the Masonic halls before moving into their own glorious building on Broadway, between 2nd and 3rd in 1872. It should also be noted that many society Jews of the day were also very influential Masons. Including Rabbi Edelman of Congregation B’nai Brith, who served five times as Grand Master of this same Lodge No. 42. When I look over these advertisements here, it reveals a lot to me. While leaving so many more things to explore which just puzzle me and beg for answers. Was this congregation also just a holiday minyan? Or were they just renting the large hall to accommodate more people for the swelling High Holy Days? Sometimes in the case of congregations meeting out of a houses or storefronts, to accommodate the flood of holiday attendees local minyans would often rent space in halls or theaters. “At a recent meeting of the Talmud Torah congregation, the following officers were elected to serve for the ensuing year: B. Cohn, President; L. C. Cohn, Vice-President; Jacob Lyser, Secretary ; W. Harris, Treasurer; and M. Summerfield, S. Levy and S. Rosenbladt, Trustees.” Los Angeles Herald, October 21, 1888. And what was the style and character of this community? So far there is no way to know precisely. But my guess is that this community would have followed the form of all the other Los Angeles synagogues before it, and have been traditional and just shy of Orthodoxy. We also need to remember that that the Eastern European Jews which started arriving in mass from the late-1880s through 1924 were also a different class of immigrant all together. These Yiddish speaking arrivals were far humbler than the German Jews which came before them. Coming dirt poor, after fleeing political massacres in the east. Over 2-million Eastern European Jews came to America in those years in total desperation. We also need to keep well in mind that the influx of impoverished Yiddish speaking Jewish immigrants provided this country with a desperate and eager labor force. Many of these new immigrants going into the shmata business – the garment and dress-making industry. 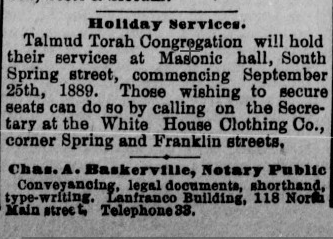 As we see from our advertisement from 1889, in Los Angeles Jews were already establishing themselves in the garment trade. This is a clear look into their lives at the start of the industrial revolution. 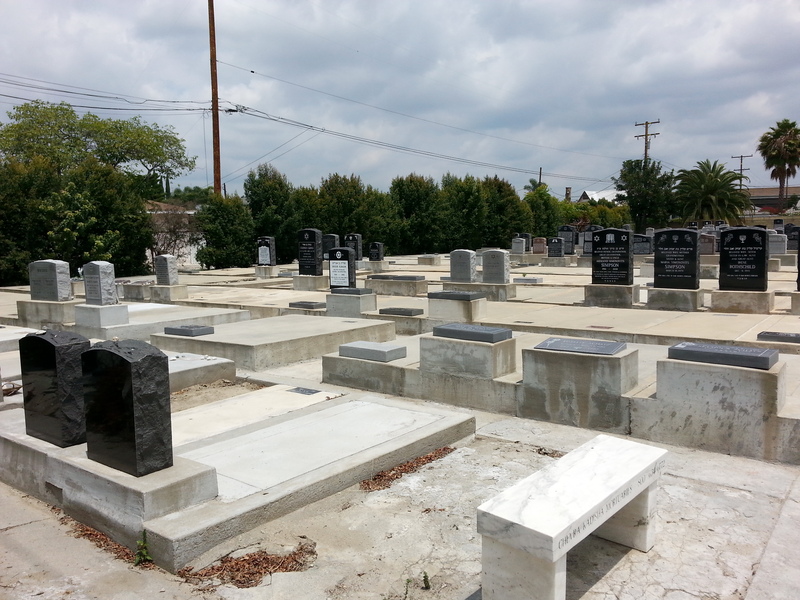 When already the relationship between Jews and the shmata business was so very well intertwined in Los Angeles. So much so that one had to pay a visit to the secretary of one of these garment buildings to reserve seats for High Holy Day services in those days. So what do we suppose became of this congregation? Did they disband or did they continue to meet? Did they eventually acquire a building that fully suited their needs in the end? If so, where did they eventually settle down? If this “Talmud Torah Congregation” persisted, it is very likely that this community would have eventually settled in the Temple District or South Central Los Angeles. As these were the notable Jewish districts of the day, years before Jewish migration began moving towards the frontiers of Boyle Heights and West Adams later on. My best guess has been that a successfully growing community would have most likely taken root in South Central Los Angeles – just off the Central Avenue corridor. Into the newest working-class area of the day. 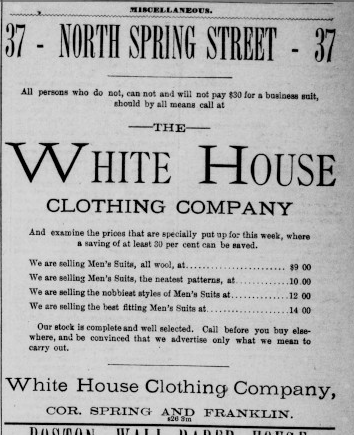 “All persons who do not, can not and will not pay $30 for a business suit, should by all means call at The White House Clothing Company.” Los Angeles Herald, October 13, 1888. The history of the Jews of this area has never been told. Though in Dr. Max Vospan’s and Lloyd P. Gartner’s definitive work titled “The History of the Jews of Los Angeles” they do mention the existence of a Jewish presence in the Central corridor. Identifying these people as related to the shmata business. The existence of which is still clearly evident even to this day, as the garment trade still has a major presence in that area. However, they did not go so far as to document the life of the Jewish communities there. To present the history of the synagogues in this area, as they did so famously for the rest of the city. The normal historical sources regarding Jewish Los Angeles do not give us much to work with. Therefore I have been turning to the public for source information and oral histories. Interestingly, within hours of posting the first image of this add to social media I got a most promising lead from a friendly local named Tony Washington Shapiro. He stated that his research shows that there were many congregations forming downtown in those days. And that this congregation did indeed start in the 1880s. Then between 1900-1910 the Jewish community started to spread out more. Noting that his own father was a Jew born in South Central Los Angeles in 1922. 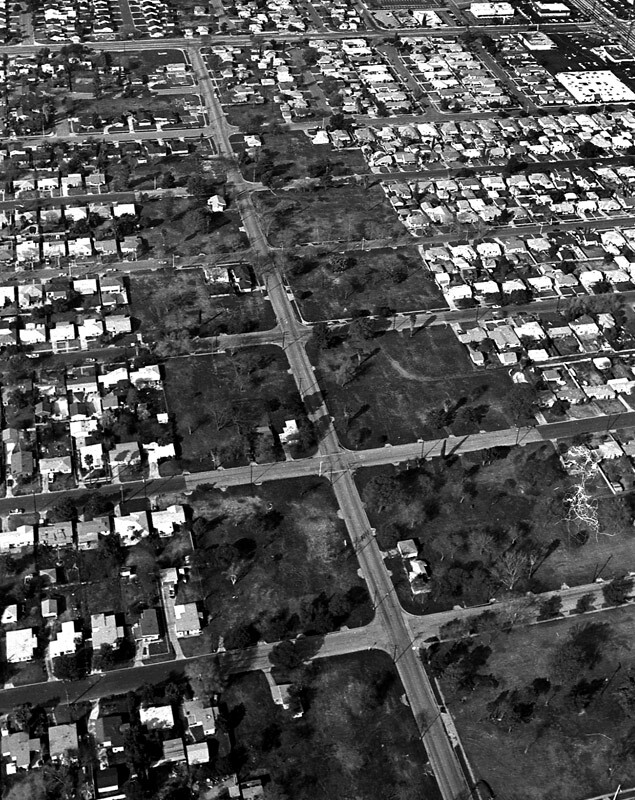 Shapiro stated that I should turn my eye back to the history of South Central Los Angeles. This advice actually confirms my own hunch. And also helps me attempt to give some context to another piece of historical documentation I came across the very same week. 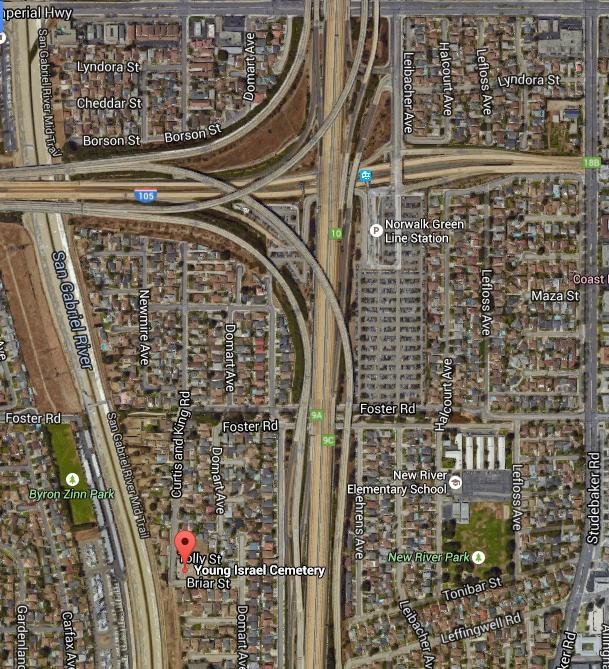 It could very well be that this congregation did indeed come to rest in the heart of South Central Los Angeles. Hopefully with the aid of more historical sources and oral histories, we will be able to explore this further. And hopefully one day tell the story of these people. 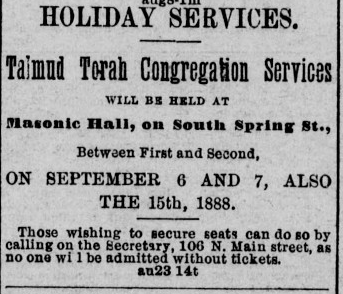 This is how the advertisement appeared under the classified section, as it appeared on in the newspaper before Rosh HaShanah that year in 1889. Notice the masognistic add just above it, reminding us how the “good old days” weren’t always so good for everyone. Thank G-d for our social advances, which make even joking like this for advertising unacceptable.. The no longer existent Franklin Street. downtown LA. From Baist’s Real Estate Guide, 1910. Los Angeles City Directory, 1938: Synagogue listing under “Congregation.” page 538.